Front row (left to right): 1. Jimmy Hunt, 2. Susan Blair, 3. Delphine Bankhead, 4. LeeAnn Ray, 5. Mary McLoughlin, 6. Nancy Bosley, 7. John Aflague. Second row: 1. Joanne Moomau, 2. Karen Kent, 3. Hollis Grieve, 4. Marvin Luther, 5. Melba Hasset, 6. Jackie Christ, 7. Nick Bubnar, 8. Eric Frank. Third row: 1. Diane Mederios, 2. Darla Beavers, 3. Cherrill Dickey, 4. Carolyn Yanes, 5. Sharon Higgins, 6. Janice Rego, 7. Sharon Santos. Fourth row: 1. John Foscalina, 2. John Etheridge, 3. Roger Jensen, 4. Jim Street, 5. Wayne Armstrong, 6. Gerald Vargas, 7. David Weaver, 8. unidentified teacher. Credits: Scanned by Jim Street. Thanks to Jim Street for identifying the people in this picture. 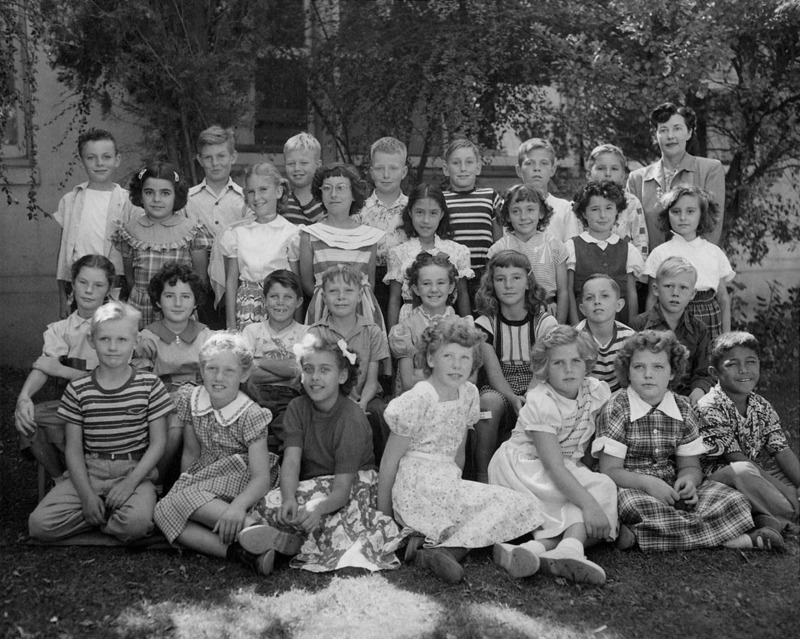 To find other pictures from Fifth Street School in the archive, see Livermore class pictures listed by school: Fifth Street School. And if you have any pictures from Fifth Street School that you would like to share, please submit them to the Archive.